The weather was beautiful for the VSO field trip to Chincoteague on September 15-17, and the 80 participants reported having a fabulous time! 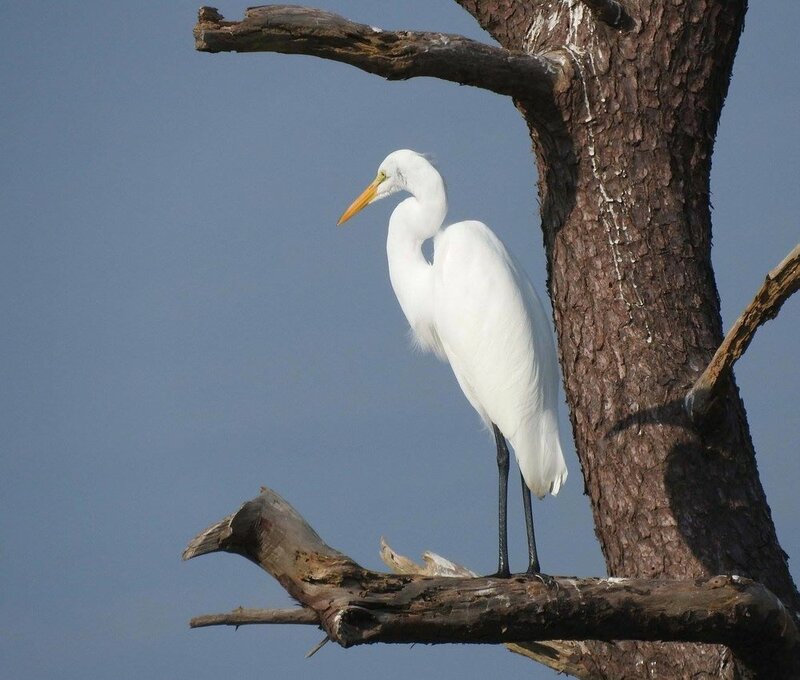 We tallied 120 species, which included birds found on the Causeway, Chincoteague Island and Chincoteague National Wildlife Refuge. Many first-timers and new VSO members got several life birds and were assisted by the more experienced attendees. Many thanks to field trip leaders Jerry Via, Bill Akers, Bob Ake, Mike Schultz, and Meredith Bell, who worked hard to ensure everyone had a great experience. Friday evening we met to overview the weekend, and we enjoyed a very informative presentation by Jerry on the effect of hurricanes on birds. 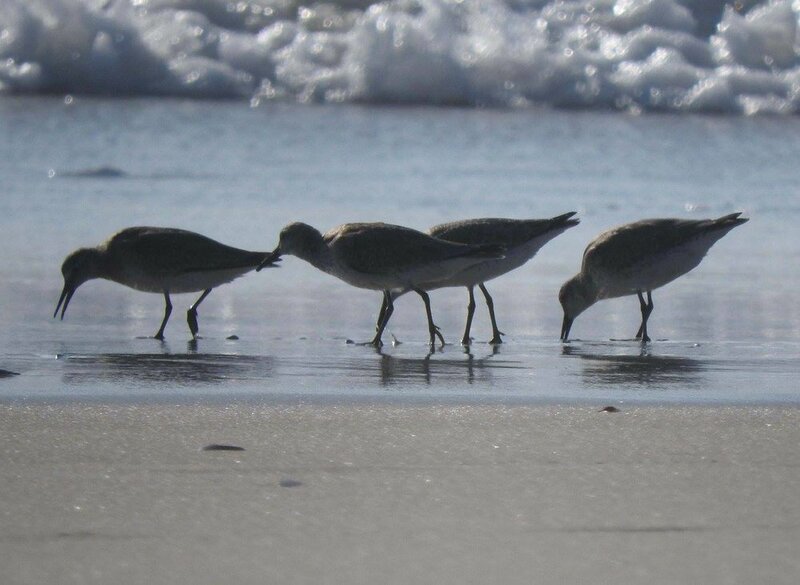 Unfortunately, mosquitoes were at an all-time high on Assateague and the wildlife loop had very few birds, so we made two adjustments to our itinerary. 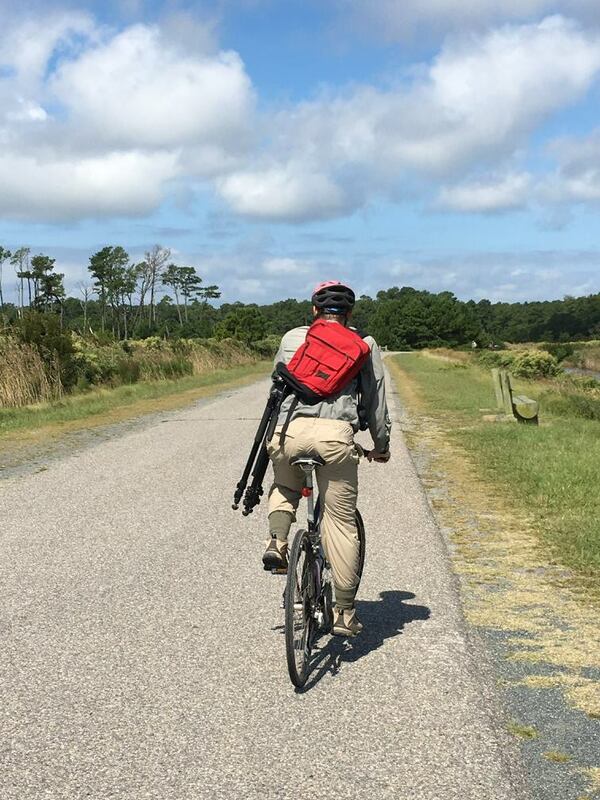 We moved the Woodland Trail warbler walk to the Island Nature Trail in Chincoteague, where mosquitoes were not a problem. 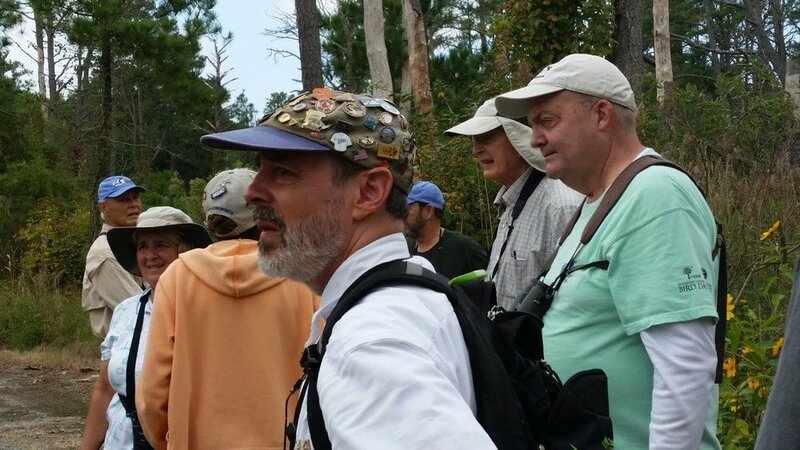 We cancelled the birding and biking trip (for the first time in more than 10 years), and our group joined Bill Akers for the warbler walk. The S-SW winds did not bring in the hoped-for warblers, yet we still had some nice birds on this trail – a family of Red-headed Woodpeckers, an abundance of Brown-headed Nuthatches, several American Redstarts and Northern Parula, and a spectacular look at a Great-Horned Owl. The boat trip was Saturday morning this year because it’s always scheduled around low tide. Bob Ake and Mike Schultz did an outstanding job leading the group. 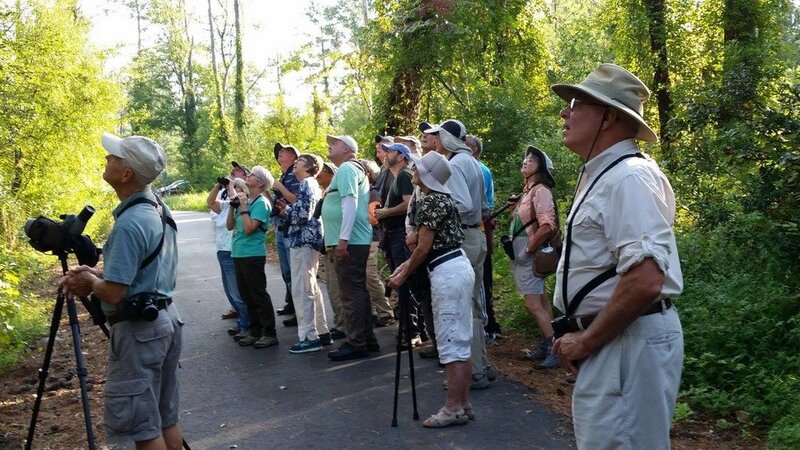 The 63 participants enjoyed close-up views of many species. 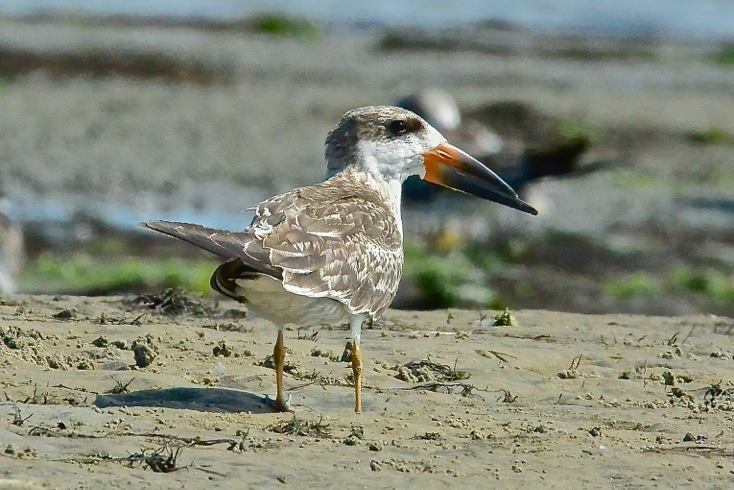 Highlights included a group of more than 1,000 White Ibis, a Peregrine Falcon and a nice assortment of shorebirds and wading birds. The two ever-popular bus trips to Wash Flats, led by Jerry Via, were sold out with 25 passengers on each. 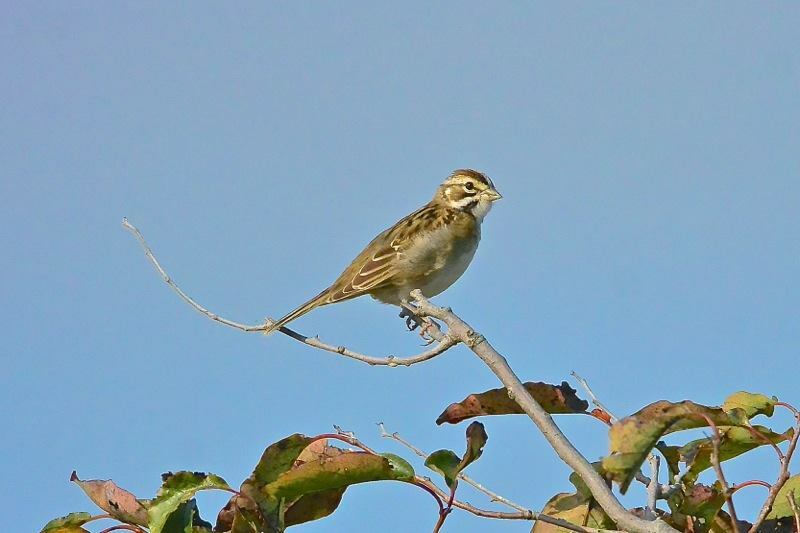 Special sightings included Lark Sparrow, Wild Turkey and a pair of Peregrine Falcons sitting side by side. 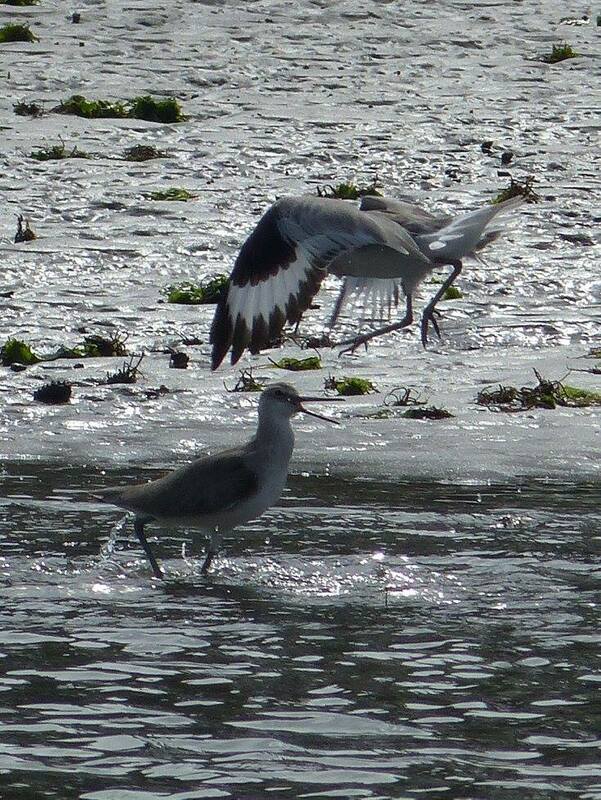 At Tom’s Cove and the beach, we found more than 50 Red Knots and a nice assortment of Plovers, Terns and Gulls. 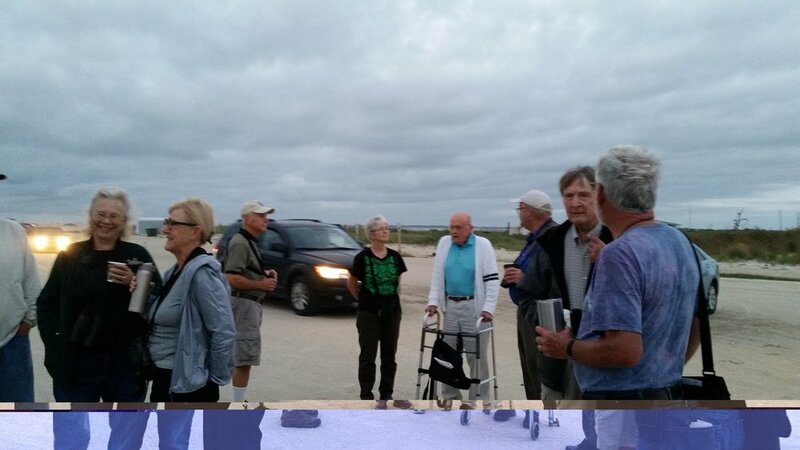 Now an annual tradition, several of us gathered at the beach just before sunrise on Sunday to celebrate the lives of very special VSO members we lost this past year: Clark White, Bob Abraham and Tom Armour. Those who knew these individuals shared memories of their experiences. We began this in 2015 to honor Ruth Beck and Peggy Opengari, who always loved to watch the sunrise at the beach during this VSO field trip. We’ve already locked in the 2018 dates, September 14-16. Mark your calendar now and plan to join us for spectacular birding at a remarkable place!